Angela Norris, senior industry expert and StoneGate Senior Living SVP, will participate in executive technology panel during HealthTAC West. StoneGate Senior Living SVP Angela Norris and HealthTAC West will spotlight the critical role of technology in delivering safe, effective and compassionate senior care. 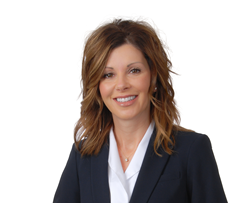 Angela Norris, senior vice president of StoneGate Senior Living, will be a featured speaker at Senior Living News’ fifth annual HealthTAC West senior care industry conference, August 19-21 in Dana Point, CA. Ms. Norris will be part of the event’s Executive Technology Panel, the “Getting Turned on to Technology” breakfast session, scheduled for Tuesday, August 21, 2018, Breakfast Session, 9 a.m.
Ms. Norris will examine the high physical, psychological costs of hospital readmissions, as well as the the estimated $17 billion price tag. She will discuss the technology innovations helping to more effectively care stakeholders connect, identify, monitor, and respond to health issues, and present a path to healthier patients and successful hospital discharges. StoneGate Senior Living, LLC provides support services to senior living and care properties that offer skilled health care, assisted living, memory support and independent living locations in Colorado, Oklahoma, and Texas. Founded and led by a team of senior living industry veterans, StoneGate understands that careful attention to customer expectations is vital to the success of a senior living and care community. Learn more at http://www.StonegateSL.com.